We offer a complete service to deliver your project, which includes designing graphics, packaging or developing visual representations of information. Our team works in the Adobe suite to design flat graphics or create mock artwork. We offer in-house printing on a range of materials or substrates, such as printing post-production branded stickers for our clients. For marketing campaigns, we can develop your concept into artwork or convert existing flat graphics into a 3D design. We can create eye-catching renders and visualisations for presentation and marketing purposes, from simple texture mockups to more detailed and intricate environmental scenes. These visuals can be built up from loose freehand sketches or finalised 3D digital models. Where a physical icon is central to a brand or campaign, our illustrators can create a replica product or design a character and take it from concept through to short-run manufacture. For exhibitions and visitor centres, we create information panels, wall graphics, and print content to cover display plinths. We can also design engaging marketing literature to include with your display – such as top trumps cards for the Architecture Centre bridge exhibition. For prototypes and casings, we re-produce logos and design external visuals in line with branding guidelines. We can design mock artwork for early prototypes, to test brand colours or the overall look and feel. 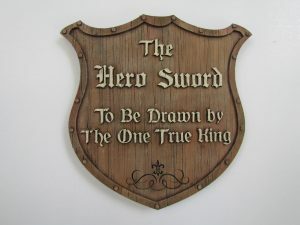 For TV and film productions, we design typography and signage onto custom-made surfaces. 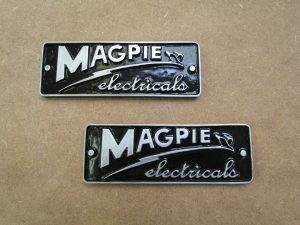 Our prop makers can create signage using a wide range of materials and techniques to achieve the desired look, whether this be vinyl printing, special effects painting, laser cutting and etching or a combination of these skills. Head to Our Work to see some of the designs we’ve helped develop. Amalgam’s combination of digital skills, technical capability and craftsmanship, along with their ability to quickly understand the client and end-user needs, was a major factor in the success of this project.